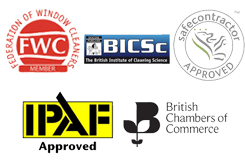 Consumables | Ashford Cleaning Contractors Ltd.
Ashford Cleaning Contractors Limited offers a wide range of top quality cleaning chemicals and products at very low prices. Discounts are given on bulk orders. We also offer a full range of consumable products, from various sizes and grades of toilet rolls, hand towels, soaps and related dispensers, to supplying and servicing dust control matting, feminine hygiene units, timer controlled-wall mounted fresh air sprays and roller towels. All these items and more at very low prices.